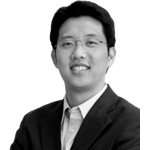 Ed Fu works with seed and early stage consumer web and clean technology companies. Prior to joining Rustic Canyon in 2010, Ed was an investor at Technology Crossover Ventures, where he focused on investments in the Internet and software sectors. Before TCV, Ed worked at Jefferies & Company, where he advised technology startups, helping several grow from single digit revenue companies to successful publicly listed industry leaders. Ed grew up in a family of entrepreneurs in Taiwan, where he witnessed the rise of the technology industry by touring semiconductor fabs with his father. He discovered his passion for technology building computers from spare parts found in Taipei’s bustling electronic markets. These days, when not meeting with entrepreneurs, Ed can be found teaching business and finance classes to local small business owners, developing Facebook applications and iOS apps that have a market size of two users (him and his wife), and falling asleep every night to episodes of The Simpsons on his iPad. Education: Ed earned his MBA from Harvard Business School, his MS in Industrial Engineering from Stanford University, and his BS in Computer Science from Cornell University.